naijablog: Congrats to Sefi Atta! 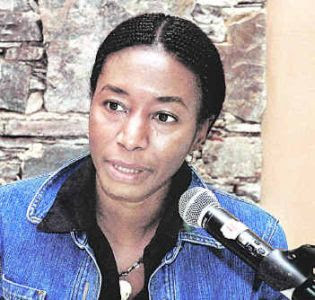 The Noma Award for Publishing in Africa announces that Sefi Atta has won the Noma Award for Publishing in Africa 2009 for her collection of short stories Lawless and Other Stories. Sefi Atta was educated in Nigeria, the UK and US, and is a former chartered accountant and a graduate of the Creative Writing Programme at Antioch University, Los Angeles. Her short stories have been published in literary journals, her radio plays have been broadcast by the British Broadcasting Corporation, and she has received many awards for her writing. She was the winner of the PEN International 2004/5 David T.K. Wong Prize, and won the first Wole Soyinka Prize for Literature in Africa in 2006 for her debut novel Everything Good Will Come. The US$10,000 Noma Award, under the auspices of UNESCO, will be presented to Sefi Atta at a special ceremony in Africa, details of which will be announced later. Congrats to Sefi. I hope with this win, the publisher will decide to re-publish with better cover and better printing. Kudos to Sefi for a fine book. I love her, amazing writer.